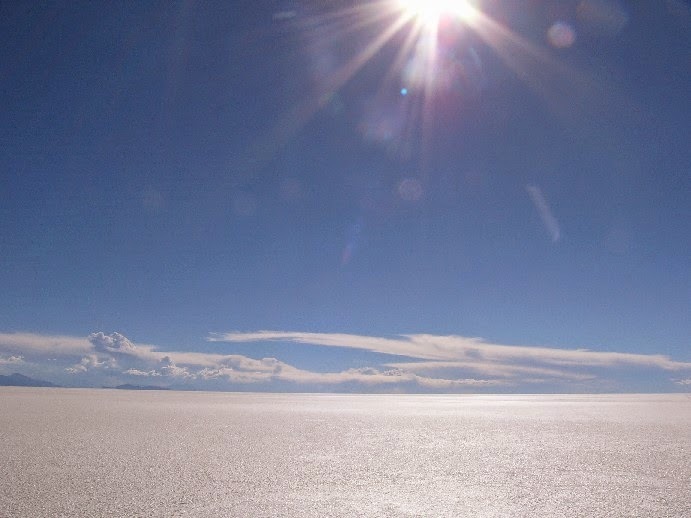 If it is not, strictly speaking, a real lake, since almost completely dried up, the Salar de Uyuni is the largest salt desert we can observe on Earth, storing 64 billions tons of salt on an area of ​​10,582 square kilometers. 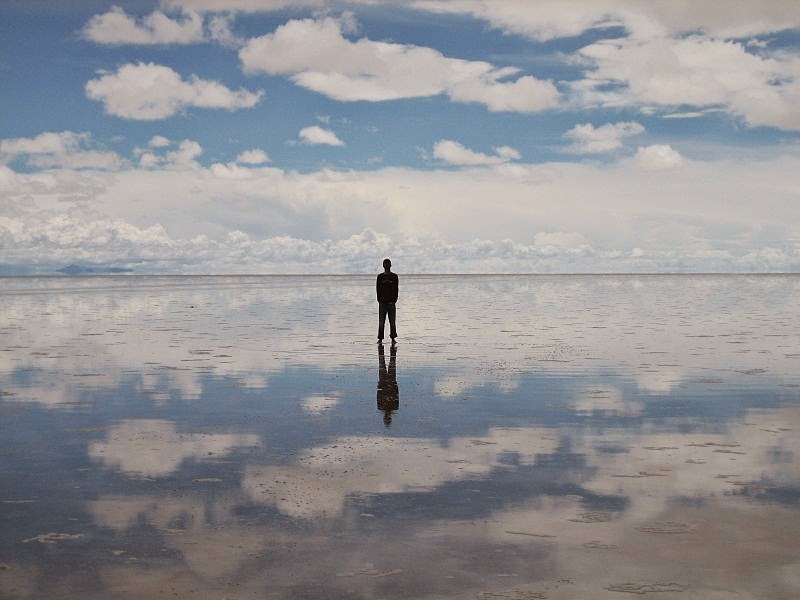 The Salar de Uyuni also holds other associated records: when flooded, it becomes the largest mirror in the world, and it also holds the largest land reserves of lithium. How did it formed? There are over 30,000 years, in southwest of present-day Bolivia, near the Andes, the huge lake Tauca began to evaporate while giving rise to many smaller bodies of water. When these lakes were surrounded by mountains, water then would have only escaped by evaporation, leaving behind the heavy elements and salt residues. The largest of these enclosed water stretches became the great salt lake Salar de Uyuni: as it did not rain enough, water still evaporated but failed to renew. 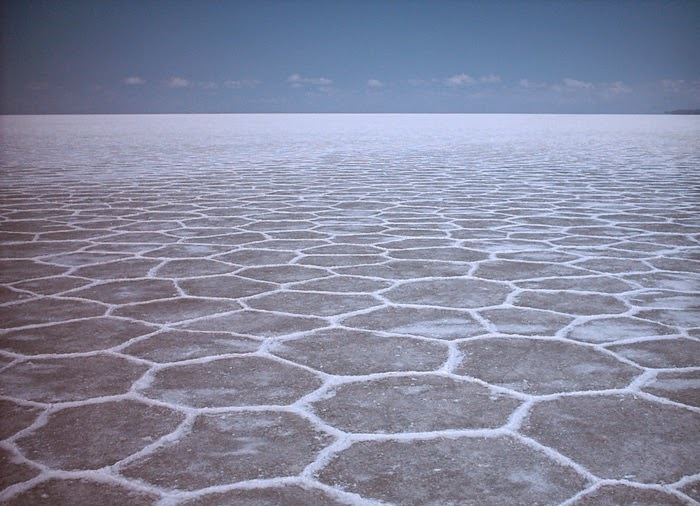 A crust of several tens of cm thick salt formed on thousands of square kilometers that make up the current Salar de Uyuni. This crust covers a large salt sea: a fully salt-saturated solution that no longer looks like the milder antic waters, even more salty, actually, than the famous Dead Sea. 10,582 square kilometers of this layer of lithium, magnesium, sodium, now cover an equally large part of Ororu Potosi and 3656 meters high plateaus. The Salar de Uyuni simply is the largest land reserve of salt in the world, which has a surprisingly high rate of lithium, the same metallic element that we're using in our computer's lithium batteries. 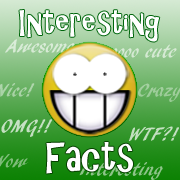 The salt desert actually represents by itself, one-third of the known reserves of this element. And when it's rainy season, and the desert becomes a lake, the water salinity and the underlying layer allow the light to be perfectly reflected, so as lake turns into the largest mirror in the world. It is so flat and calm that it gives the best opportunity for the calibration of satellite, 5 times more efficient compared to a conventional waterbody (sea or another lake).